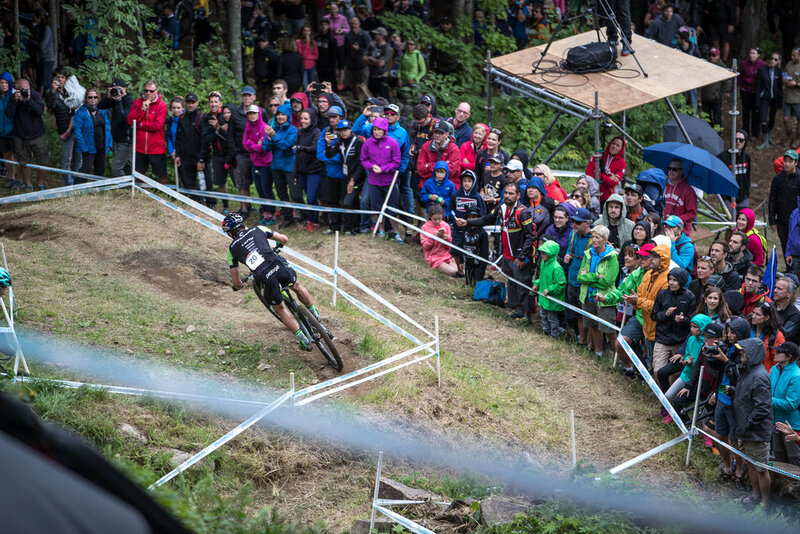 The UCI XCO Mountain Bike World Cup is a travelling circus, but in recent years a majority of the World Cup XC races happen in Europe keeping the circus closer to home. But, there is one iconic race that has stood out on the calendar for last 20+ years. Mont Sainte-Anne in Quebec, Canada (MSA). Cannondale Factory Racing is a global team, but being a European based race team all of the race equipment for MSA needs to be moved and carried on the plane from Europe to North America. It is a much different approach to what everybody is used to with a truck, motorhome, and sprinters to get to a European calendar event. Flight cases and bike boxes plus a massive amount of gear bags are the kit of choice for this one. We thought to add some new color to our lives by giving our two freshly crowned National Champions Manuel Fumic and Maxime Marotte shiny new toys to go along with their new team kits. Keep an eye out for these new Scalpel-Si bikes, the frames will be in shops soon! Since just some color on the bike is not enough, we added some color to the team race clothing as well and celebrated the 30 year anniversary for SUGOI with new kits at MSA. Thanks for being a proud sponsor and thanks for making us stand out. Helen Grobert is on her career best season this year, and this is just the beginning. A highly skilled technical rider, strong and willing to learn and grow, she is joined on the team with her younger sister Hannah for some good times. 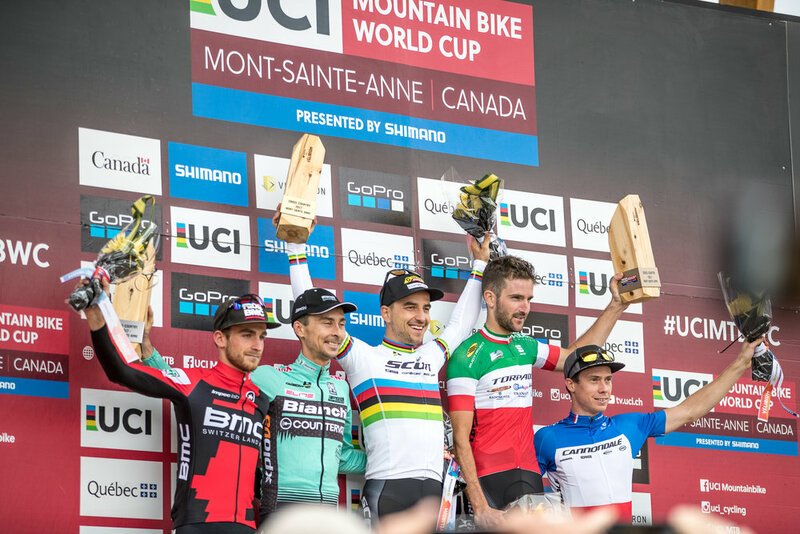 Be sure there are more World Cup podiums in the future. 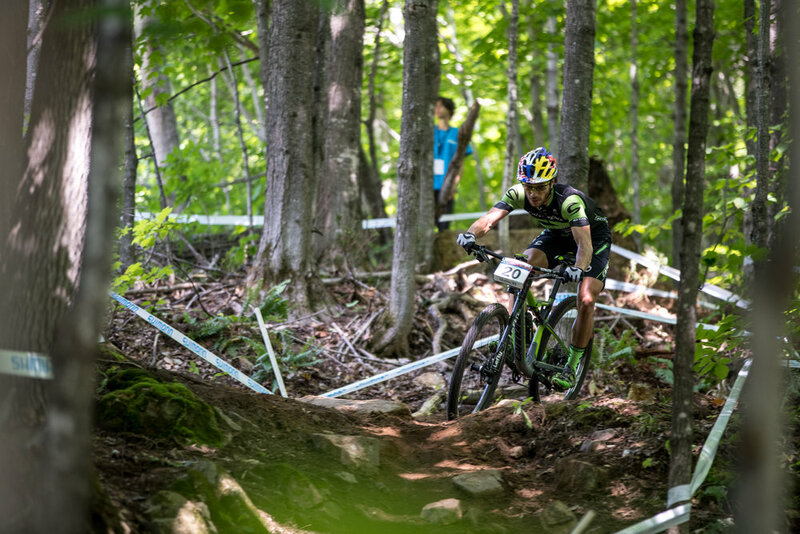 The boys are out on course in Sainte Anne, and it is pure pleasure to watch them ride on such a demanding course. Roots, rocks, jumps, steep climbs and technical descents make-up what is called "the mother of all courses" pushing riders and equipment to the limit. When some of the best in the world pre-ride a course together, it’s just not enough anymore. 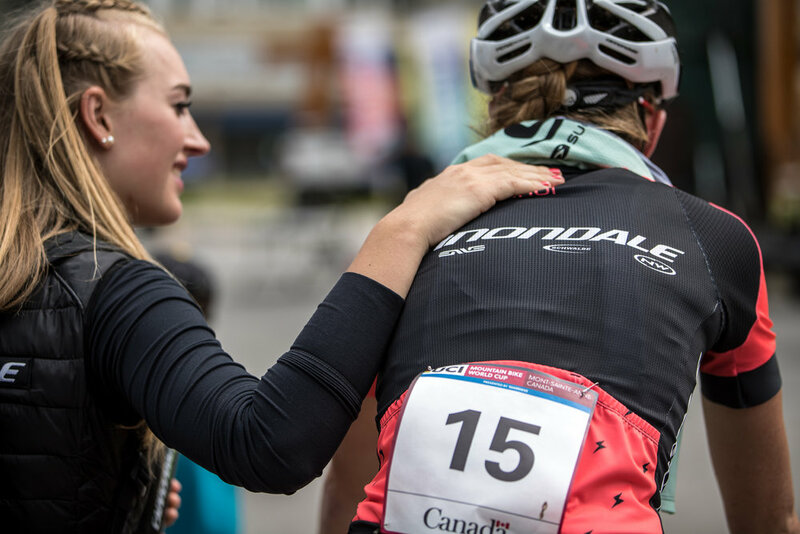 CFR’s performance manager, Phil “Dixie” Dixon, spends valuable time with the riders out on course, discussing lines, sharing knowledge, and initiating new ideas on how to tackle the race course. It is not enough anymore to just ride along. When race day came, everything was different. Massive amounts of rain came down on Saturday and overnight in to Sunday. Everybody was prepared for the worst, but things turned out to be even better than the dry conditions on training days. A bit slippery in the morning on the rocks and roots, but with massive amounts of grip on the grass and gravel, the lap times were very fast. Helen Grobert had the best race start of the season, but unfortunately went down in a crash on the start loop, hurting herself and loosing valuable time. It took her 2 laps to get over the pain and fight back in her race. 15th position is not what she hoped for, but the lap times showed what could have been possible without the incident in the start loop. In the men’s race CFR got out of the block like a missile, and stayed on the front for quite some time. Maxime struggled a bit being tired from travel, but ultimately managed to finish fifth and score another podium. Mani rode the best race in years and was leading for a good amount of time in the race. He crashed in a crucial moment and lost the lead group, but ended the race with some key lessons learned and with a season best result in sixth place. 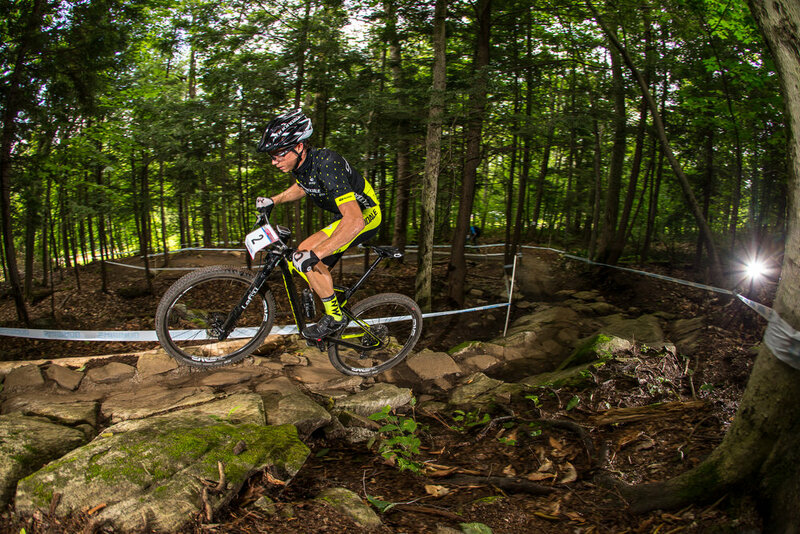 Henrique Avancini rode solid and finished 24th, bringing the team closer to the lead overall of the team rankings.